Quick summary: In this lesson, students investigate the environmental impacts of bottled water. They conduct a ‘5 whys’ investigation into some of the reasons why people use bottled water, then watch a video that explores what happens to plastic bottles once they’ve been thrown away. Students then explore the concept of life cycle analysis through researching, and work in groups to create a 3D model of a bottled water life cycle. Their aim is to encourage others to work towards closing the recycling loop by purchasing beverage bottles made from recycled plastic. Students will understand the concept of closing the recycling loop. 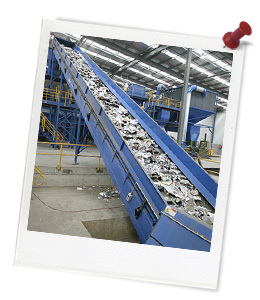 Students will be able to communicate the value of closing the recycling loop to others. 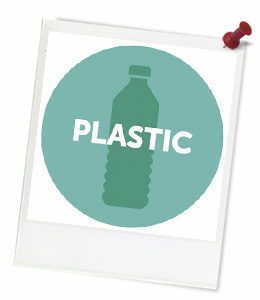 Students will be able to create a representation of the life cycle of a plastic bottle. Construct and use a range of representations, including graphs, keys and models to represent and analyse patterns or relationships in data using digital technologies as appropriate (ACSIS129). Chemical change involves substances reacting to form new substances (ACSSU225). Syllabus outcomes: SC4-12ES, SC4-13ES, SC4-7WS, SC4-16CW, ACSHE134, SC4-11PW. Relevant parts of Year 7 Science achievement standards: Students analyse how the sustainable use of resources depends on the way they are formed and cycle through Earth systems. Students describe situations where scientific knowledge from different science disciplines and diverse cultures has been used to solve a real-world problem. They communicate their ideas, methods and findings using scientific language and appropriate representations. Relevant parts of Year 8 Science achievement standards: By the end of Year 8, students compare physical and chemical changes and use the particle model to explain and predict the properties and behaviours of substances. They explain how evidence has led to an improved understanding of a scientific idea and describe situations in which scientists collaborated to generate solutions to contemporary problems. They reflect on implications of these solutions for different groups in society. Unit of work: Bright Sparks – Secondary Science. Level of teacher scaffolding: Medium – teacher will facilitate an innovative design process. Device capable of presenting a website to the class. Materials for making a 3D model (suggest using materials commonly found in a recycling bin). ‘There is a Better Way’ article (one per pair). Keywords: Bottled water, environmental impact, recycled plastic, waste. Students create a model to represent and compare the life cycles of plastic bottles made from non-recycled materials with bottles made from recycled materials. Students can share the the value of closing the recycling loop with their peers. Thought Starter: What really happens to the plastic you throw away?